"I’ve seen this case before – it’s an iPhone case," says one mistaken 7-year-old. "Wait a minute – you don’t just turn it on and get the apps?" asks another. 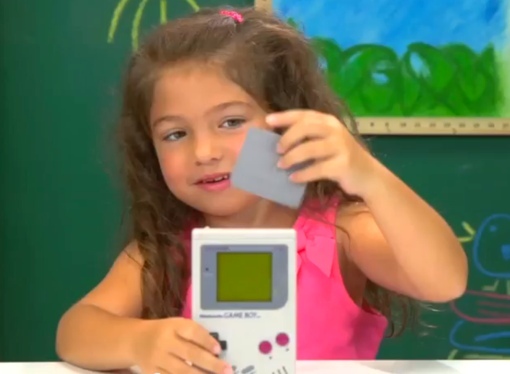 One of my favorite parts of the video is how a lot of the kids seem to enjoy playing Tetris, even though the "weird green thing" is significantly older than they are. It just goes to show you that a classic will always hold up against the test of time, regardless of what medium that classic happens to be on.